Mark Reuss took over the role of president at General Motors at a crucial time. The automaker in the midst of a restructuring, focusing its businesses on crossovers, large vehicles, EVs and autonomy. Additionally, GM is taking its final chance on Cadillac, which has struggled to materialize into a competitive luxury brand, and is facing increasingly stiff competition in the truck segment from Ford and Ram. Reuss is a busy man, then, but he still found time to sit down with CNBC’s Phil LeBeau at the recent launch of the 2020 Chevrolet Silverado HD and discuss the automaker’s new HD trucks, the uphill battle the automotive industry is facing and the automaker’s recent layoffs. When asked by CNBC if slow January sales are bad omen for the industry, Reuss said that the extremely cold temperatures that plagued much of the American midwest last month probably had a negative affect on results. 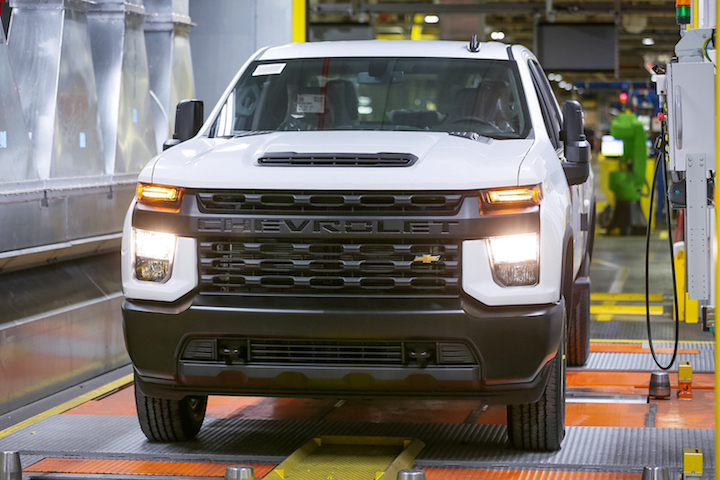 Reuss also said that GM isn’t planning to lay off any more workers this year and pointed out that it will be adding 1,000 jobs to its Flint Assembly plant shortly to support production of the 2020 Chevrolet Silverado HD and 2020 GMC Sierra HD. “There’s a lot of empathy around rightsizing our workforce right now, so we are really paying attention to our people and being fair with them and giving them opportunities for other jobs in a great economy,” he added. You can watch the full CNBC interview with Mark Reuss embedded above. Like this story? Click here for more Mark Reuss news.